Hi, my name is Diyana Alcheva. First of all I want to say thank you Ann Sieg for writing The Renegade Network Marketer e-book because it's changed my life and my business completely. I'm a Bulgarian and I came to this country a few years ago to go to college. And I got involved in network marketing system almost immediately after I came to USA. I really quickly want to share a very powerful tool with you that is going to empower your network marketing business building process. That tool is going to improve those results significantly. 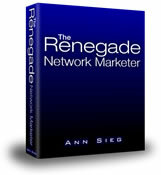 This is a great tool for you, and it's an e-book by Ann Sieg called "The Renegade Network Marketer". 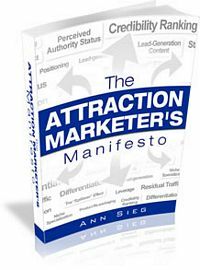 If you have read "Magnetic Sponsoring" by Mike Dillard or if you have read any other material, or e-book, or book that is teaching the new way of attraction network marketing, then this tool is for you as well. The reason I recommend The Renegade Network Marketer is because I do believe that it is one of the main reasons why I was able to get such great results. After I started building my business this new way, I achieved those great results in a very short amount of time! I read "Magnetic Sponsoring" and then a few weeks later I read "The Renegade Network Marketer." And just after that I started actually applying what I was learning in the Renegade System. And within the first three months I was able to make over $4,000 in commission checks, and I attracted over 350 prospects who came to me. I attracted 350 prospects to my list, which had never happened to me before. 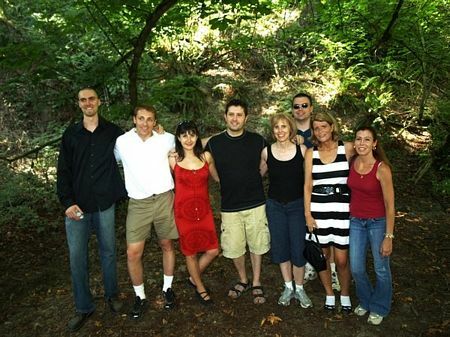 Before I read The Renegade Network Marketer, in two and a half years of my career with my network marketing company I had been able to find perhaps a few prospects and enroll a few people. And all in all I had received three checks, but not very big checks. But never anything like this, $4,000 in three months! This is really exciting for me because when I look back, these two and a half years since I first got involved in network marketing, I recall spending a lot of money. I recall flying to events and spending $1,500 flying to California, spending time in Jeffrey Combs' house and his "Breakthrough" event, which was really cool. I really liked it. But it did not really help me to get any results. I spent so much money on inspiration CDs and educational CDs to learn how to call leads, and how to sound on the phone, and all these wonderful things. I spent between $200 and $300 on Ellie Drake CDs. 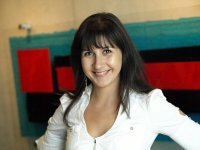 She's also a wonderful inspirational speaker and coach in the network marketing industry. I remember flying to Las Vegas, Nevada and attending Dani Johnson's event for "First Step To Success" and after that I had all the walls of my office covered with scripts. I'd be buying leads every week. I spent hundreds and hundreds of dollars for leads. I'm not even going to try to count the hours that I spent calling those leads. Yes, all these things have helped me a lot. They have helped me grow. But I only got some insignificant results. But nothing, just nothing like this ever has happened to me after I used The Renegade Network Marketer. And that's why I recommend this tool. If you're a beginner in this new model, it's going to significantly help you. Because I was a beginner, I was a complete newbie, and the system helped me, it got me going. The system is going to show you step-by-step where to go and what to do. And it's great for you if you are a beginner. It is also great for you if you are experienced in network marketing and already getting results, maybe already attracting a lot of prospects to you. Or maybe you already have a big list of prospects and you already have a big team of network marketers in your downline. The Renegade Network Marketer is going to be great for you because it's going to teach and train you, your prospects and your team members. It will walk you step-by-step with video tutorials and written materials. It will show you where to go, what to do, and move you forward and help you build your business The Renegade Network Marketer way. The Renegade System is really powerful because it positions you as the expert and as the guide for your team members. And it helps you leverage your time and leverage yourself tremendously. 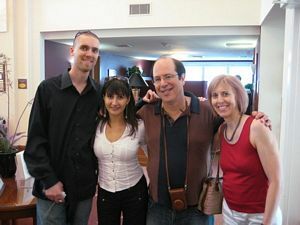 Just by applying the teachings of The Renegade Network Marketer I started making money and attracting prospects to me. In my first six months I made over $6,000 in commission checks and I have attracted over 500 prospects. This is really empowering. People come to me and I make money. And most importantly, I make money even if they don't join my network marketing opportunity. This is great because that's what real business is all about! 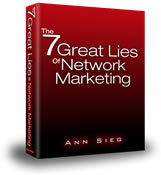 And again thanks to Ann Sieg for teaching me and providing this e-book to the network marketing world.